Happy Sunday! Luckily the heat wave here in the Northeast broke late Friday and it’s been a beautiful weekend – without the need for air conditioning! 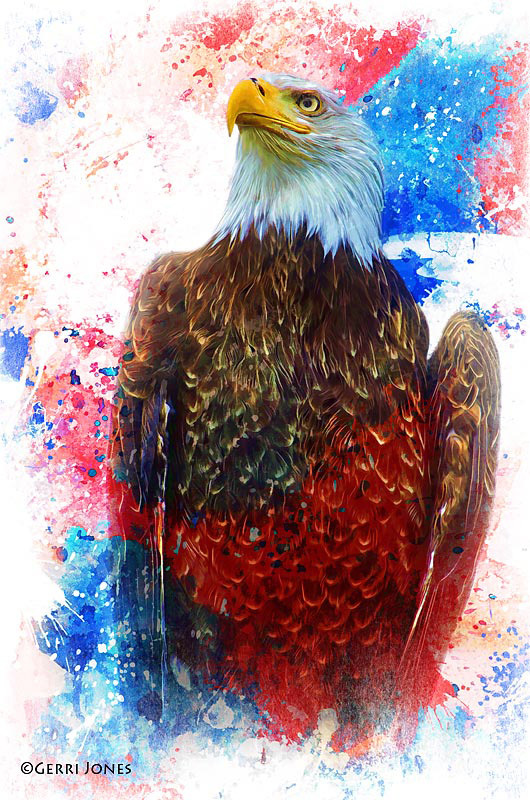 Hope you all had a relaxing Independence Day! This week’s Sunday Sampler is one of my favorite subjects – RUST! From subtle grunge to cracked and splotchy! Enjoy! And remember, you can always desaturate to get a black & white for just the texture without the color, or use hue/saturation or Topaz ReStyle to change the color palette of the textures. I confirmed our 2nd speaker for the May 18-19, 2019 Creative Photography Conference. In addition to the return of Anne Belmont, Lenbaby specialist, the fabulous John Barclay will be joining the line-up of talented, creative speakers! John is an excellent instructor and workshop leader, a Topaz webinar presenter (he just did his 27th webinar this past week), and an all-around nice guy! And…new for 2019 will be hands-on sessions on Friday! Bring your laptop and learn along with one of our speakers! Session will be from 1:00-4:00 (additional fee). More details to come! Be sure to mark you calendar for May 18-19 to join us for the 3rd Creative Photography Conference in Southbridge, MA. There will be early bird pricing offered beginning September 1 through Black Friday (the only discount that will be offered) – don’t miss out! This year will be even bigger and better. And stay tuned for details on a FALL 2019 Conference in the Chicago area! Bookmark the web page HERE! On WebDesignDev.com I found a few cool items for you! And if you haven’t yet, don’t forget to register for my webinar with Gavin & Alan of StudioMagic! Even if you can’t watch live, sign up and you’ll get an email link of the recording AND you’ll get a set of Elegance Photoshop Actions ($47 value) for FREE! Spring has “sort of” sprung! We had another NorEaster this week, but it turned out to be nothing for CT – about an inch of snow where we are on the coast. But across Long Island Sound on Long Island, they got 16″+! Go figure! This week is supposed to get closet to 60, so maybe Spring will actually be here soon! This week’s Sunday Sampler consists of textures taken yesterday at Automotive Restorations here in Stratford. They had an open house to show off some beautiful machines – some completed, and some in-process. Enjoy! Join me this Tuesday, March 27th, 5:00 p.m. Eastern Daylight Time, for a Topaz webinar. Sign up here: http://blog.topazlabs.com/webinars/. 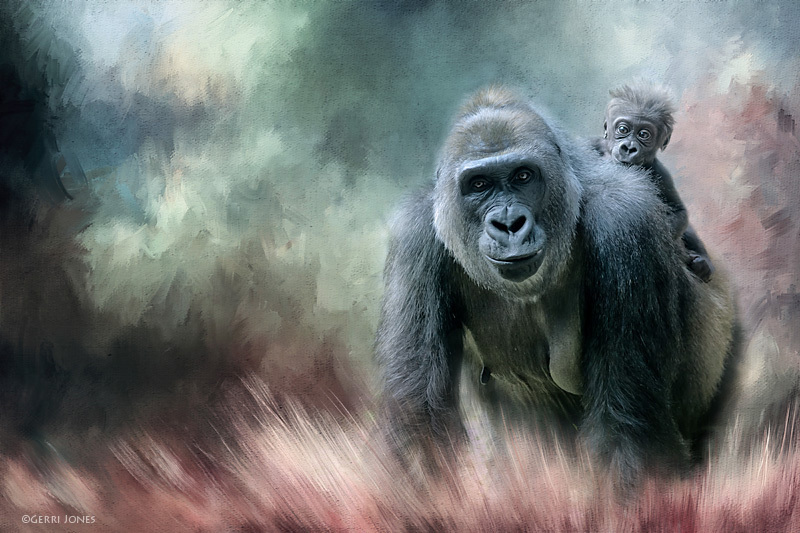 I will be working in Topaz Studio and demonstrating ways to layer two or more images to create a composite, among some other creative techniques using ReMix and the new Digital Frames! Sign up even if you’re not available at that time and you’ll get a link emailed after the webinar to watch the replay. 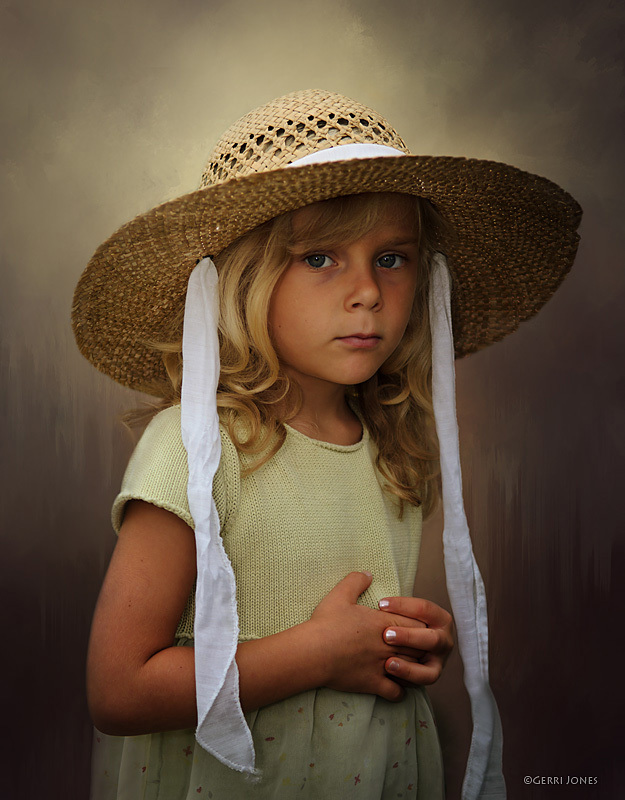 Hazel is involved with the photographic community on local, regional and national levels. She is currently a Vice President on the board of the New England Camera Club Council (NECCC), secretary of the Connecticut Association of Photographers; and a member of the Greater Bridgeport Camera Club. She is also active in the Photographic Society of America (PSA). Her photos have won many awards and competitions in both local club competitions and international salons and she has had several public showings of her work. In 2008 she received an honors distinction of Master Member of the New England Camera Club Council (MNEC) during its annual conference and in 2012 received the PSA Service Award. In September, 2013, she was awarded the distinction of APSA from the Photographic Society of America at their annual conference. Hazel teaches at many New England camera clubs as well as photographic conferences and events throughout the U.S. She offers workshops and travel photo trips through her company, Meredith Images, and is a regular webinar presenter for Topaz Labs. She released her first eBook, “Working with Textures & Overlays: Turn Ho-Hum into a Work of Art” in October 2015, and is currently working on the sequel! Hazel enjoys being active in the photographic community and helping others find the joy and satisfaction in taking and perfecting beautiful images. I will be doing two hands-on sessions this Conference: “Creating Art with Topaz” and “Processing with Photomatix, Smart Photo Editor and more”. So bring your laptops – or just follow along – and see how I utilize various software to “Turn Ho-Hum into a Work of Art”! DON’T MISS THE CHANCE TO SAVE $$ on Conference Registration! Individual and Group Discounts ALL END MARCH 31st! Individuals – use the coupon code Courtesy25 at checkout to save $25. Groups – info is on the website (contact me if you have a group of a different quantity). Click HERE for all the details and to sign up. https://www.pixelsurplus.com/freebies/ – Fonts, brushes, textures and more! 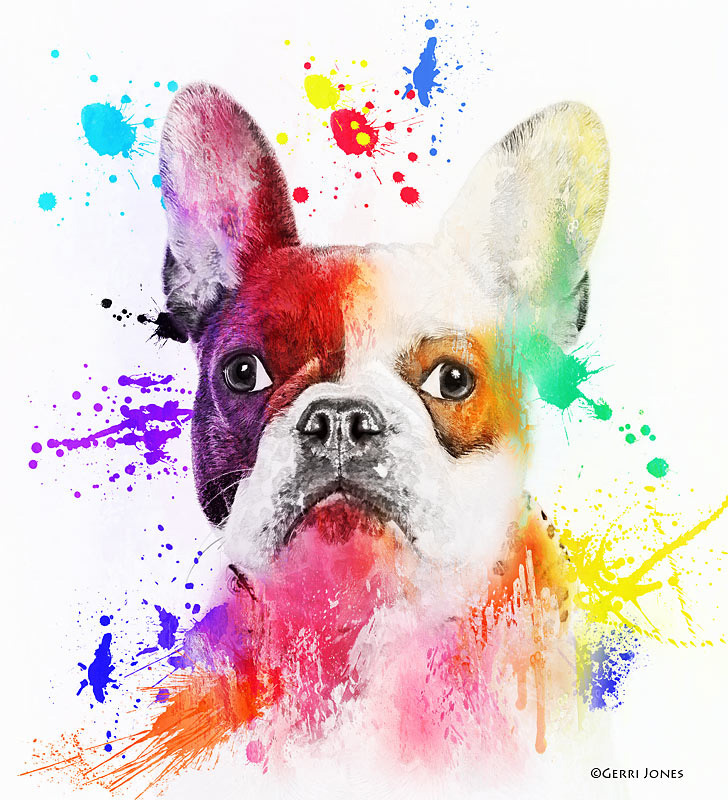 http://mixclipart.com/category/photoshop-cs-brushes/ – Brushes, textures, vector art and more! Sorry for being a day late with this week’s Sunday Sampler! Got busy with Easter festivities yesterday! On Saturday Dave & I took a trip to Vermont (3 hrs. away) to “VINS”, the Vermont Institute of Natural Science. They take care of many injured birds and raptors, with those that cannot be released back into the wild now residents of the institute. Bald eagles, golden eagles, owls, kestrels, hawks and more now call VINS home. This week’s textures all come from VINS! Barn wood, a birch tree, and owl feathers make up our selection. Here is one of the VINS residents – a beautiful red tail hawk. She has been with them for many years. One of her wings does not fully extend so she can’t fly long distances any more. Birds and wildlife are probably the most challenging subjects we can photograph. They move in various directions – especially wildlife when they are running – however there are some things you can do to improve your chances of in-focus bird photos. Choose your camera settings wisely. You will most definitely want to use continuous focus (AI Servo on a Canon; AF-C on a Nikon), select a center focus point, and use a fast shutter speed of at least 1/1000th of a second. This means you will be using Shutter Priority mode, so you will need to be sure that when using a fast shutter speed, your f-stop will be in the range of the lens you are using. If not, you will need to increase your ISO setting. Ideally, you want at least an f-stop of f-8 or f-11 to get enough depth-of-field on your bird. ISO should be at least 400, and possibly higher if lighting conditions are not bright. Most cameras today can easily handle 1600 ISO without a lot of “grain” or digital noise. Tripod or no tripod. 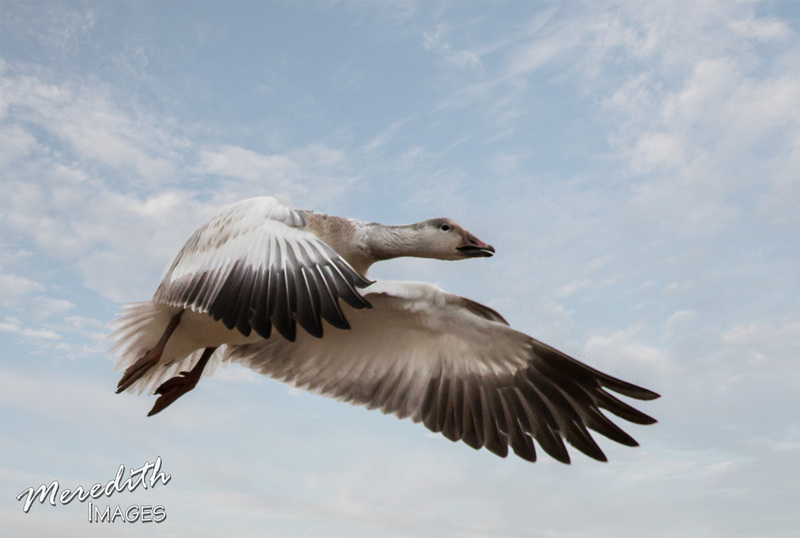 Most times a tripod is useless when photographing birds in flight! Their erratic movements can make it nearly impossible to get a good shot on a tripod. The exception would be if you have a Wimberly or similar type ballhead that allows movement in all directions. When hand holding a long lens be sure to keep your supporting hand as far out towards the end of the lens barrel as possible. This will reduce camera shake. Also, keep your elbows tucked in and spread your legs should-width apart for stability and ease of panning. Ideally you will be shooting when you can get front lighting (sun behind your back) with the bird coming at you. Of course, perfect positioning is not always possible! As with any type of photography, composition is important. When photographing birds keep a large amount of negative space in front of the bird so he has somewhere to travel into the frame of your image. If you focus your center point on the eye of the bird, his body will be behind that point leaving more space in front of the bird. It is also ideal to be on the same level as the bird. This can be difficult. However, if you can capture the bird when it is swooping low or position yourself on a hill or an elevated bird stand, you can get better images. Learn the signals to what a bird will do or when they will take off. 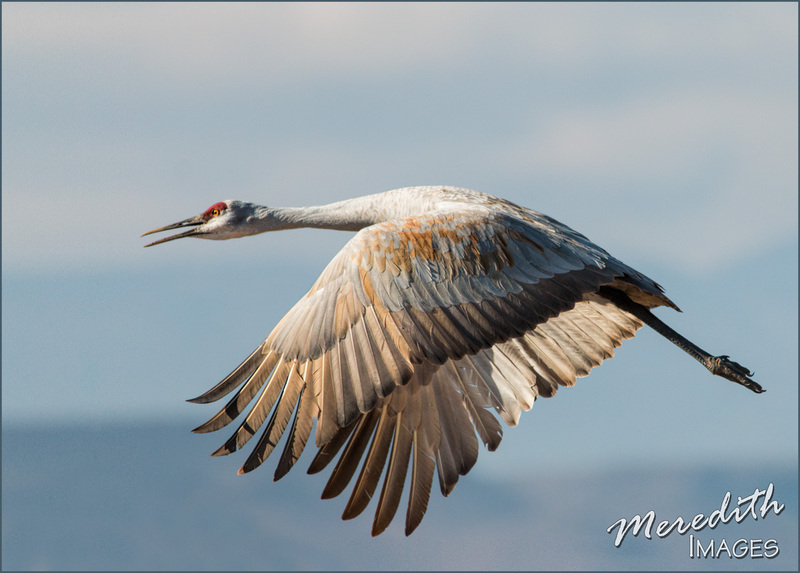 I learned with the sandhill cranes in New Mexico that they lean forward prior to take off – sometimes for a minute or more! The bird that is leaning the farthest forward will be the one that takes off first. Other birds (as Roman K. says), “lighten the load” before takeoff! Learn the signals of the birds you are trying to photograph. Birds pretty much always take off and land into whatever wind or breeze that there is. Put yourself in the right position with the wind at your back so the bird will be coming towards you when landing or taking off. Panning technique. It is easier to focus on a bird that is a little farther away than one that is “in your face”. 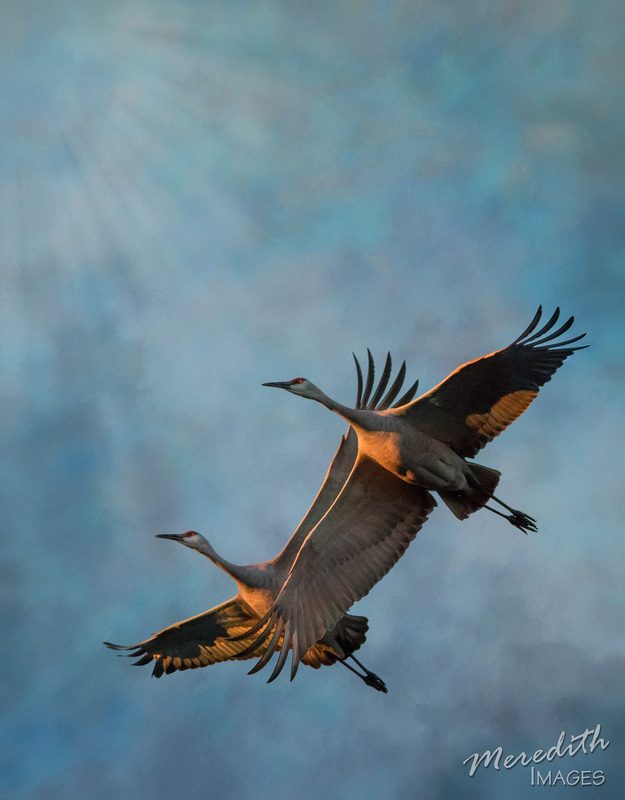 Get an approaching bird aligned in your viewfinder and track it as it moves closer. Once it is in a position you like, fire away. Shooting in short bursts of two or three shots will give you a better chance of getting the wings in a good position. 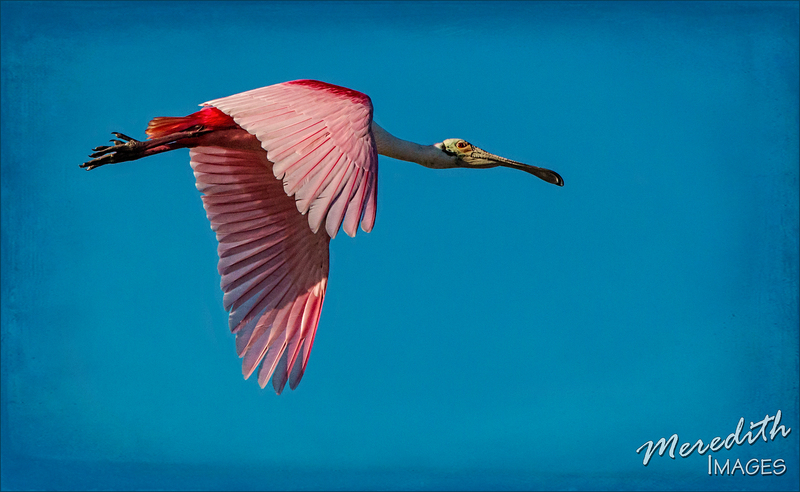 When you are panning with a bird in flight, be sure to continue the panning motion even after you take the shots. Follow through will keep the last shot in focus better than abruptly stopping your movement. During my Topaz webinar earlier this month, attendees asked many questions. While I cannot see that part of the screen while I’m teaching, other attendees can and my hubby, Dave, did some screen shots of questions asked. We did have time to answer a few at the end of the webinar, but there are many more than we can get to in 15 or 20 minutes, and not all of you were on the webinar. So here are a couple of them – I’ll include more in future posts. And feel free to email me YOUR questions too on textures or photography in general. Q. What format should the files be for adding your own textures (pixels, resolution, etc.)? A. The textures included in Topaz Texture Effects are 5000×5000 pixels. I usually save my own files at 4500 pixels on the longest side, and always at 300 dpi. Most purchased textures are 3000 pixels minimum – most are more. I also size my images to 15 inches (4500 pixels) on the longest side, so my textures will be pretty closed to my image size. You can stretch or shrink to fit exactly, but you don’t want to have to stretch it too much or it will get very pixelated. Most textures are jpeg files. You can bring these in to your active Photoshop file. I always save first as a PSD file with layers, then as my jpeg file. Q. Does she print most on canvas, watercolor paper or other paper? A. I do a lot of canvas prints lately! I don’t do my own paper prints any more, so if I need prints I use one of the pro labs. For canvas I love Canvas on Demand. Great quality and pricing – check Groupon for discounts and sign up for their emails. They have a special today and tomorrow till midnight – $28.29 for a 16 x 20 gallery wrap canvas! Use the code 16X20DEAL. www.canvasondemand.com. I have to go order one for a gift! March 20th – Sunday Sampler & More! HAPPY SPRING! But wait a second….it’s calling for some SNOW tonight!!! Mother Nature isn’t quite done with winter yet here in the Northeast! But at least it’s only a few inches around here and not what Boston is expecting (sorry my Massachusetts friends!). This past Tuesday was my second Topaz webinar – how fun it is to see people saying “hi” in the comments box from all over the world…Canada, Spain, South Africa, Australia, New Zealand, UK, Germany, Israel, Scotland, and of course, all over the USA! THANK YOU to everyone who watched the webinar and the many who signed up for my blog! If you weren’t able to watch on Tuesday, I will have a link soon to the archived webinar on the Topaz Labs site. AND, I also have a 25% off special running through midnight (Eastern time) on my eBook “Working with Textures & Overlays: Turn Ho-Hum Into a Work of Art”. You can grab that on my website at www.MeredithImages.com/Products. Use the code TOPAZ25 at checkout. I’ve continued on the theme from the webinar! I’ve taken an image of blurred trees – nice as is – and changed it two totally different ways using Topaz. One is done in Topaz Impression with the Obscurity I preset; the other with Topaz Textures and the Window Gaze preset (changed the preset a bit with the second texture). I often post links to other pages when I find great things on the web! This week, Line 25 had an awesome listing of 25 places to get free watercolor brushes!! Woo hoo!! I have to do some downloading myself! These will be awesome for creating some cool new textures! Check them out at: http://line25.com/articles/free-watercolor-brush-sets. It’s been a while….but the latest newsletter will be out sometime this week!! I love doing my blog posts, but I also like doing some other longer articles and how-to’s for you dear reader. There were lots of great questions during the webinar…unfortunately there is only time to answer a few. My husband was watching on a laptop and did screen shots of most of the questions. I’ll be doing an article to answer some more of those. So, if you haven’t signed up to receive updates, head to my website and sign up through the pop-up that you’ll get when exiting. Till next week, keep clicking!